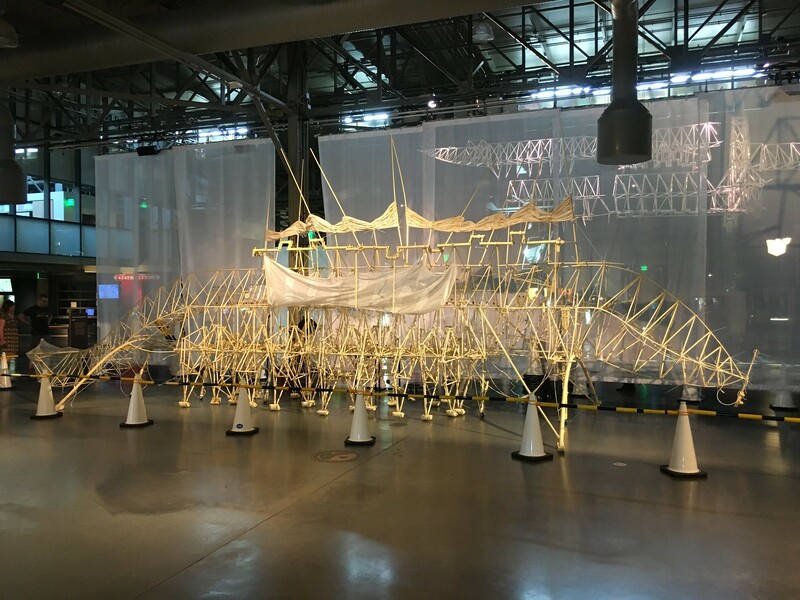 We got to visit the Exploratorium in San Francisco this past weekend, and saw Theo Jansen's Strandbeest Exhibit. For those of you that haven't seen a Strandbeests, prepare to have your mind blown. I took some videos, showing a couple of the Strandbeests in action. My son and I got to push them around! It was actually easier to move than I had thought! I still can't figure out the compressed air/pistons mechanism, even up close studying them. 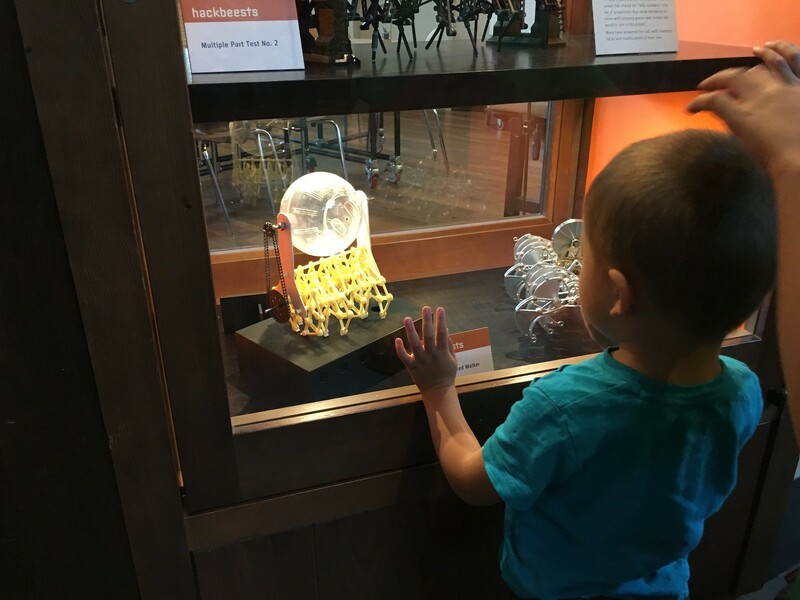 I'm not sure if I'm more impressed with the art of the machine, or the artist who made the machine. Either way, just awe inspiring. Today was the last day too see the exhibition!!! And of course, the legendary "Hamster Walker"! Have you ever thought of working on another awesome robot (like the ones you used to make) ? Yeah, I find it really cool too. I super impressed with the inventor, just WOW!